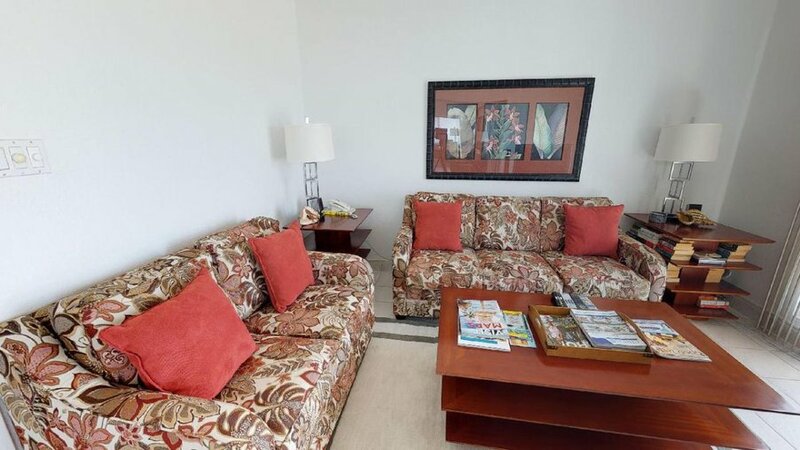 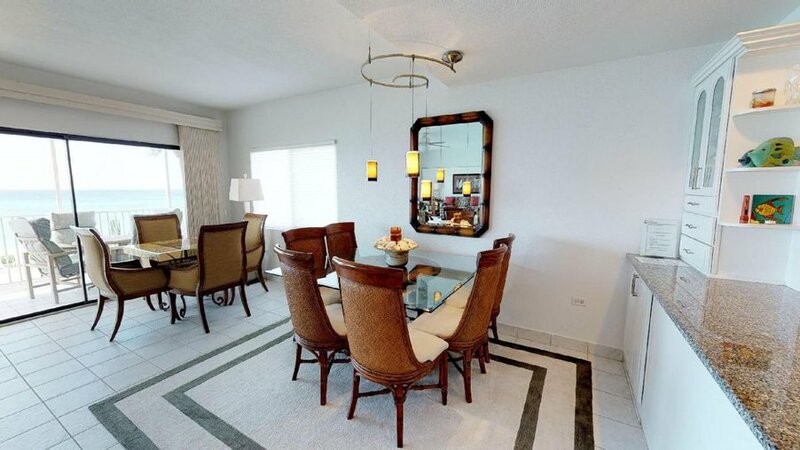 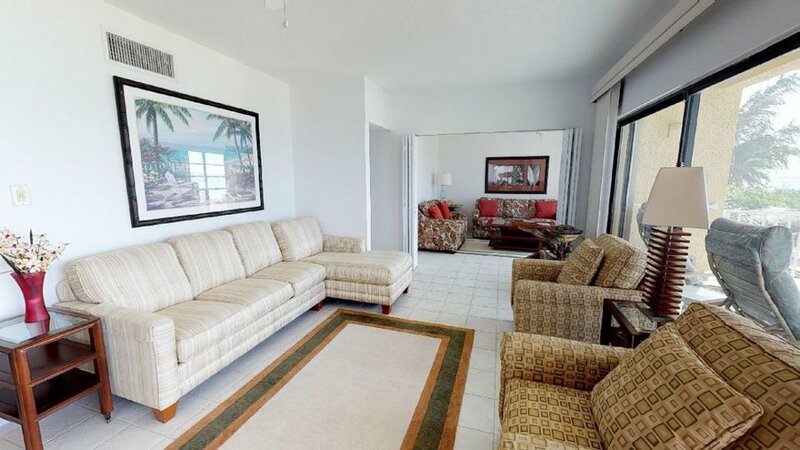 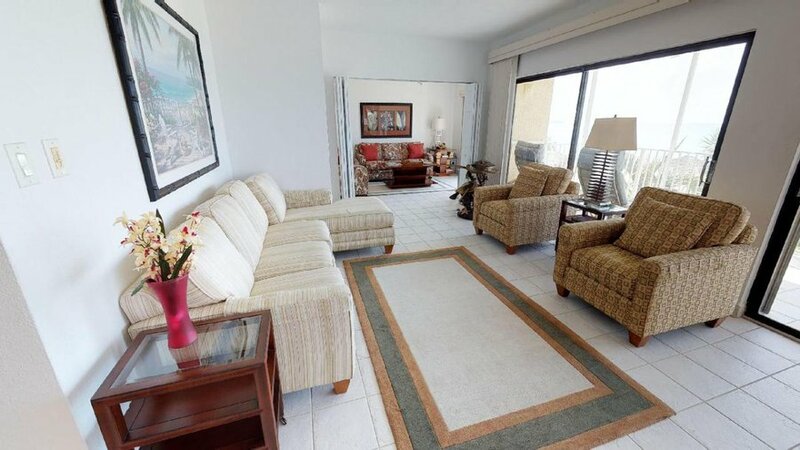 This elegantly decorated condo is furnished for a party of 4 adults. 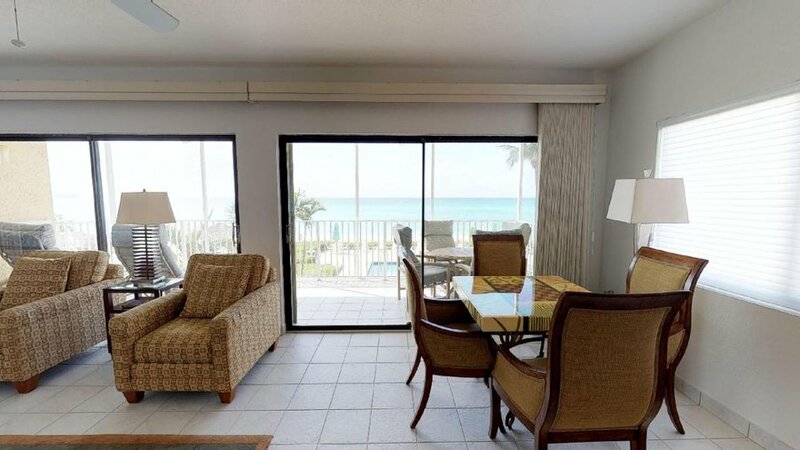 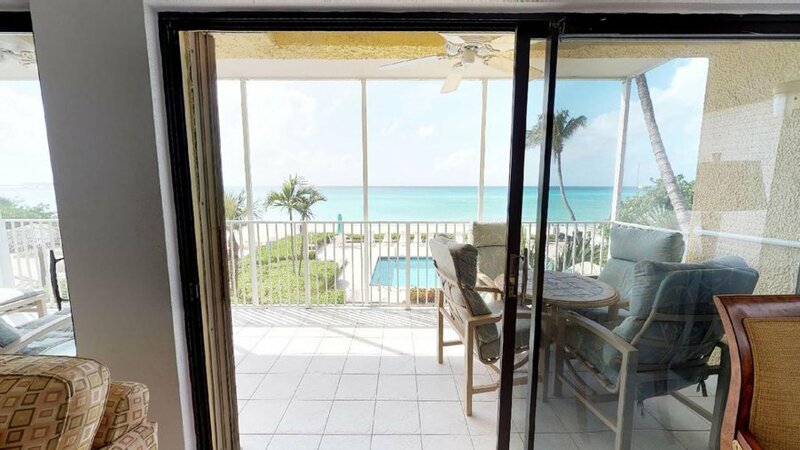 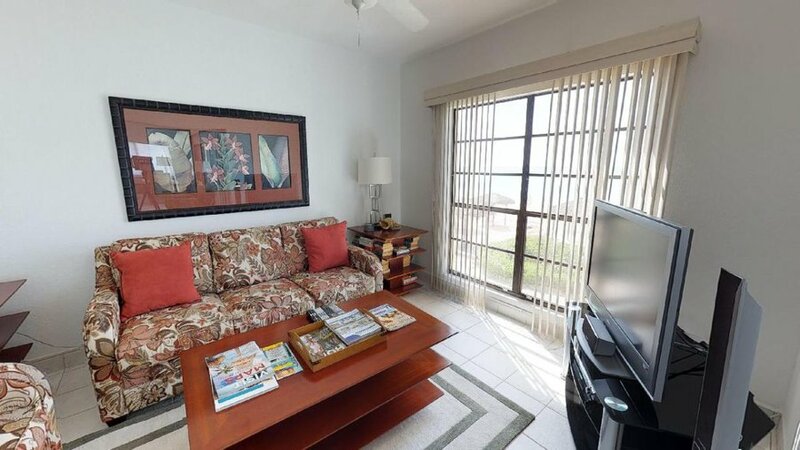 The condo's open design connects the den, living room, dining room, and kitchen, affording a fabulous view of the sea from these rooms. 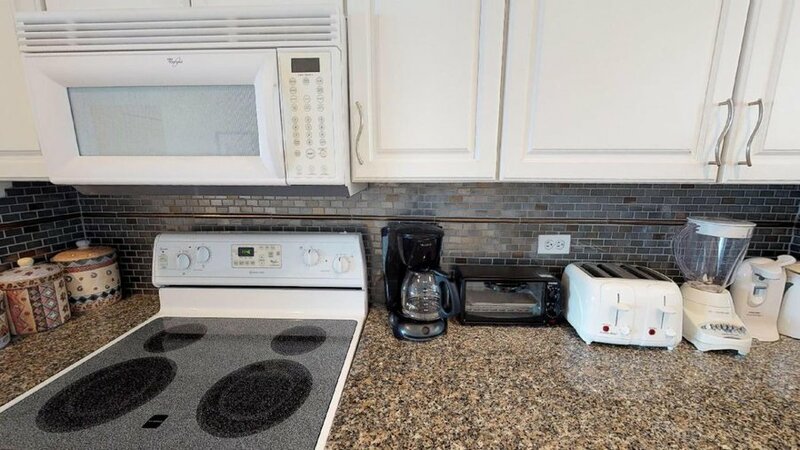 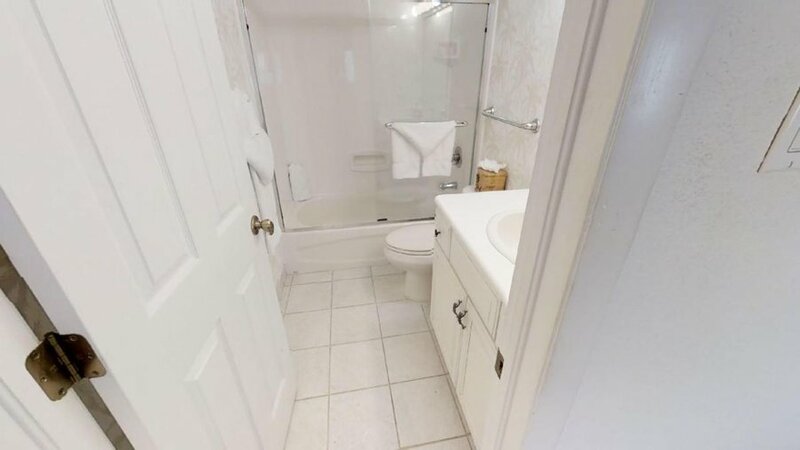 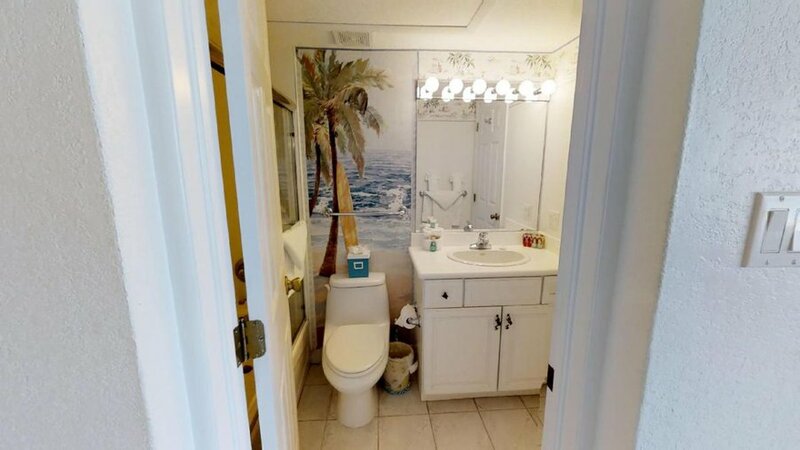 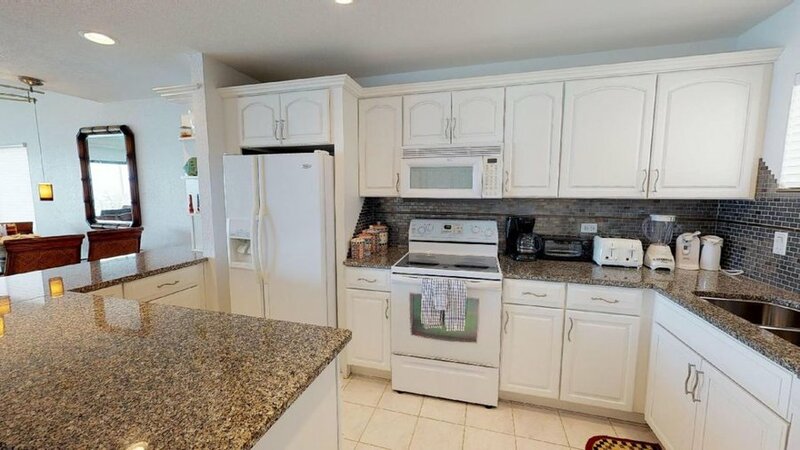 Decorated with solid white cabinets. 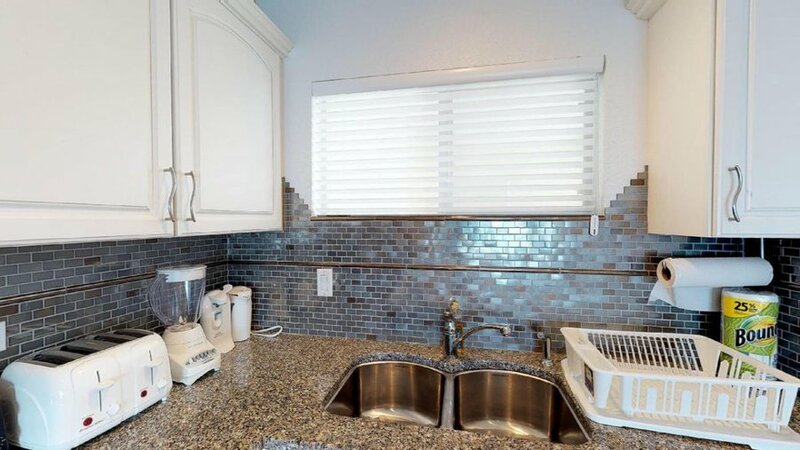 complimented with granite counter tops, the spacious kitchen is a great place to prepare your meals or just grab a snack. 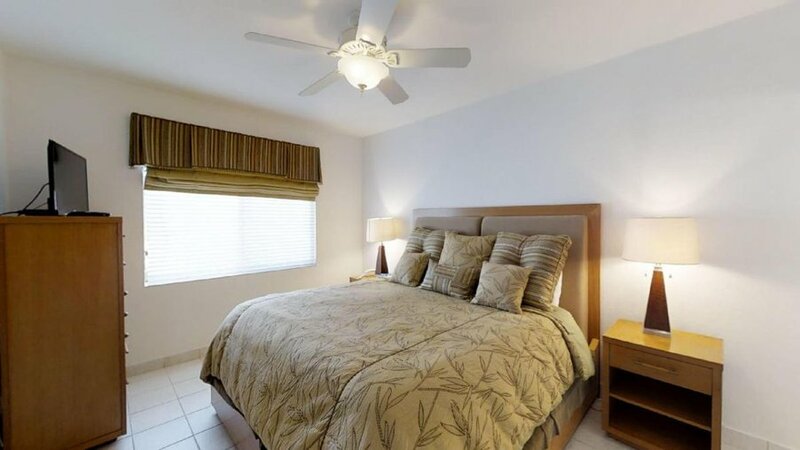 The master bedroom and den are furnished with flat screen televisions. 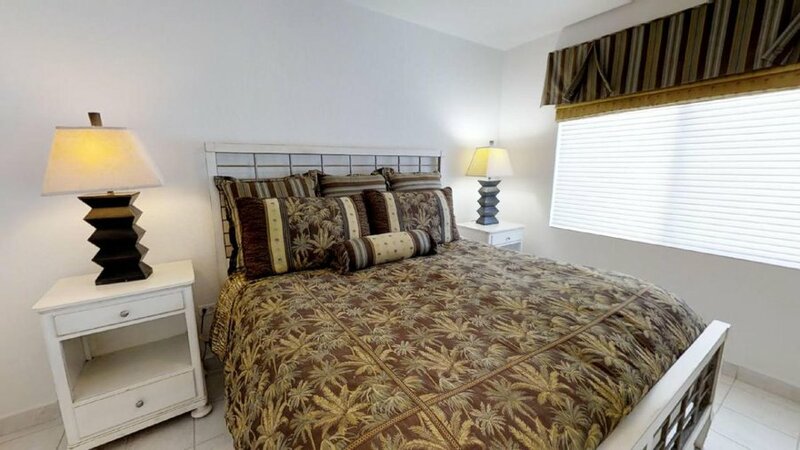 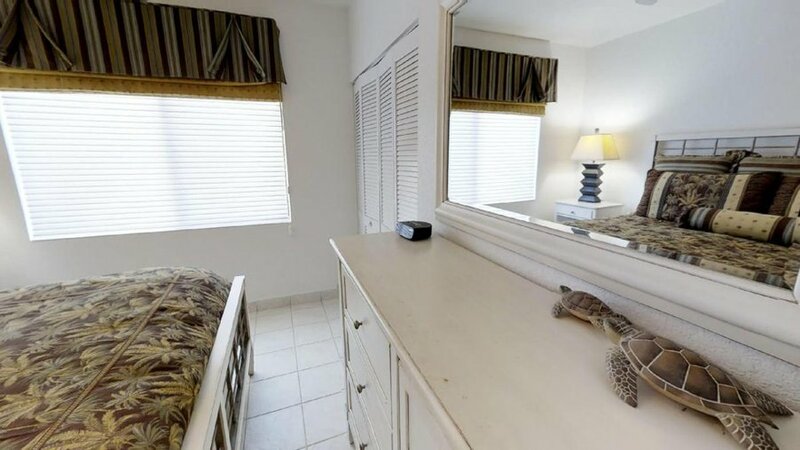 Both bedrooms have king size beds, making this a perfect vacation rental for two couples. 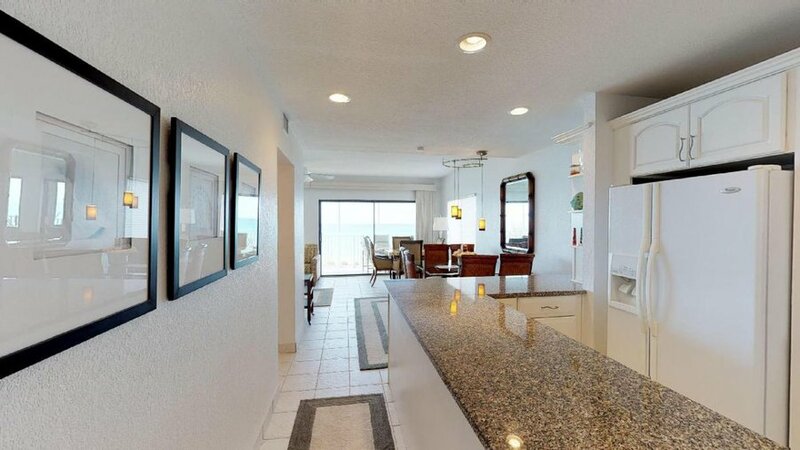 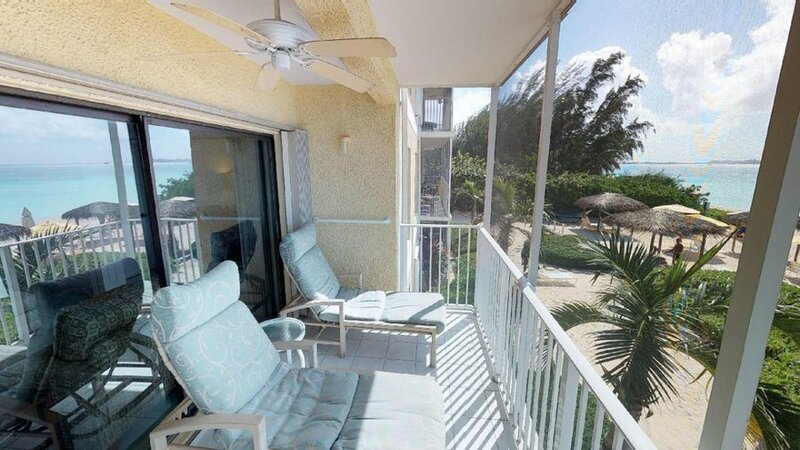 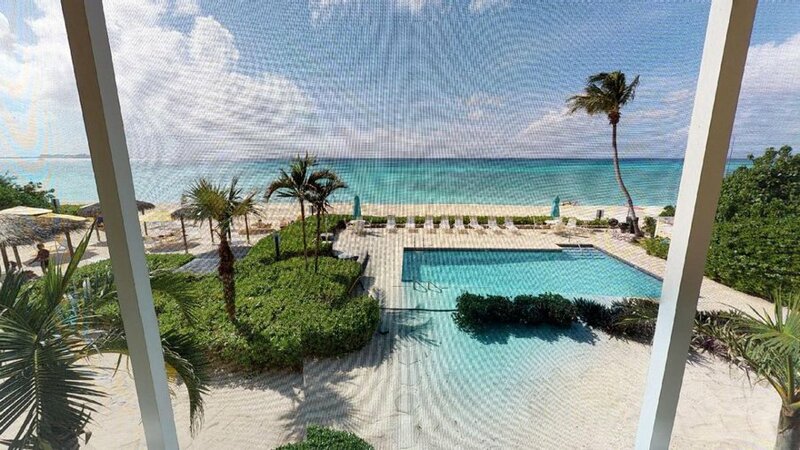 Enjoy the large screened balcony, and again the mesmerizing sea views.